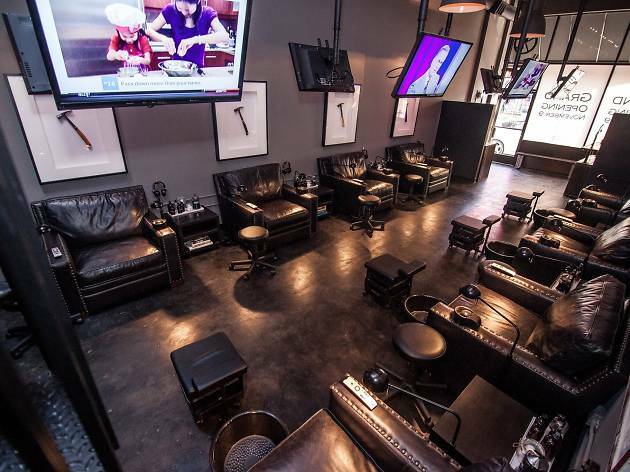 This mecca of grooming for guys, as seen on Shark Tank, offers up manly manis and pedis for dudes whose digits need a little love. 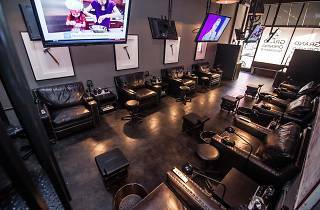 Sink into deep leather chairs surrounded by dark wood furnishings, low lighting and personal flat-screens and headphones at each station. Get a wide array of typical treatments, or opt for experiences made just for those with rough hands. There are also some aromatherapy and healing options that no guy would scoff at, including a Citrus White Ale pedicure and a Hops & Cedar Experience, which includes a custom Guiness Extra Stout beer soak, an oatmeal exfoliation and and cedar-smelling hot towel wraps. And ladies—you're welcome here too, just don't come looking for polish; Hammer & Nails provides no "artificial" services, meaning you'll only get clipped, scrubbed, lotioned and buffed.